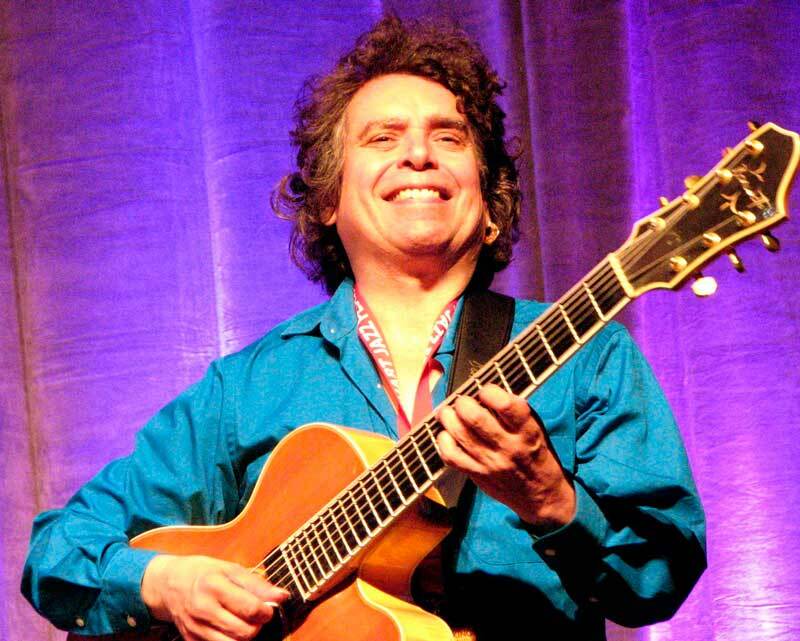 This week on FretDojo, I’m happy to share with you an interview I recently held with internationally acclaimed jazz guitarist Howard Alden. In the interview below, I go on a deep dive with Howard about his journey with jazz guitar from a youngster to where he is today. I also ask Howard to reveal his secrets for how to maximise the results you get in the practice room – there were some fantastic tips Howard gives in this interview that you should definitely pay attention to. Featured during the interview are tracks from Howard Alden’s recently released solo jazz guitar album ‘Guitar’ – get your copy here. *STOP PRESS* – Jazz Guitar Improvisation Online Course Re-Opening Soon! 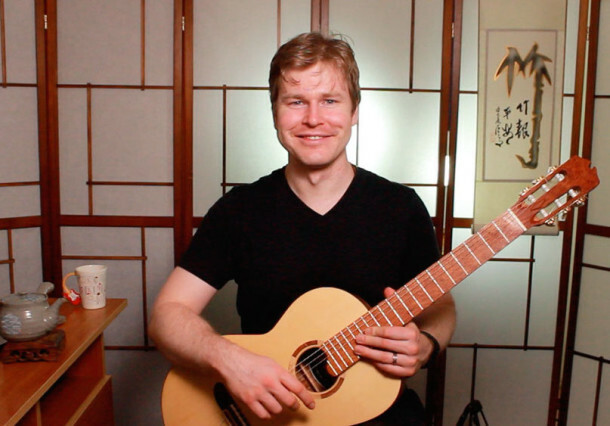 Before you go, a quick reminder about something very exciting – I’m about to open the doors to the next release of my online course, The Fundamentals of Jazz Guitar Improvisation. The last time I ran this course earlier this year the students that went through it achieved huge improvements with their jazz guitar improvisation skills, and I’m sure that you can do the same. Make sure that you’re subscribed to my mailing list by entering your details in the box on this page so you know when I will begin to take bookings for the course. Great interview. I’ll get that album. As a student who took your fundamentals course, I can say he hit on all the important practice points that you have taught: guide tones; learn many tunes and the melodies; learn vocabulary as opposed to scales even though scales are a foundational necessity but don’t get stuck there; necessity of community or actually playing with someone (backing tracks still are a good start; find a teacher. One point that you haven’t mentioned is playing the melody with the base notes (I imagine it to be more that the root of the cord and more of a line). One point I especially liked was picking less well known tunes to work on (within one’s capability of course). Thinking some of the Charlie Parker tunes that even if well known, the cooking head is a bebop lesson in itself. Thanks much. Also, I found these very useful too. I just love the lines of horn players in the 60’s ( CD blue note series ) and I often wondered how did they do it ? — is it possible to adapt to guitar ? and if you follow John Stowell’s advice about running the melodic minor aperggio, o broken scale fragments over dominants and ( altered ones too ) you begin to make satisfying progress — of course you can adopt Stowell’s tip of playing the melodic minor a semitone above ; below; a fourth of fifth and then add in for spice some scale tones with your own rhythm and syncopation — you will create something new. Only problem you have to pre-plan all this before you can internalize it and play on the spot — bands will be impressed by your knowledge ! it will get you more gigs and out of practice room in the garage. Howard Alden seems to be of my age. I think I once mentioned here already that I grew up in a very remote part of Germany in the early 50s but with a lot of swing music in my early childhood ( American forces network) and R&R/B in the 60s. Absolutely no guitar teacher in these styles within 100 miles! Being the absolute autodidact I found a funny guitar LP in the local shop. It happened to be a Howard Roberts’ LP… ( a US soldier had ordered it and forgotten). Strange music for me as a Beatles and Stones fan , but I was so fascinated that I gradually ordered the rest of the 13 Capitol LPs by HR. Having no idea of 2-5-1 or altered chords at that time I could only understand and learn Roberts’ bluesy titles and improvisations BY EAR. At the age of 30 I finally met Mr Roberts here in Germany at a workshop organized by J.Aebersold and had 1 week of lessons. So I once asked him to play a solo “transcription” in one of those 3 books published under his name that I had not found on my LPs at home. Roberts tried 3times and got stuck every time after a few bars! Great interview Greg…You asked all the right questions…not only are you an accomplished jazz guitar teacher, but also a fine journalist! There is a lifetime of practice outlined by Howard in this interview.